Bold and graphical, this Butterflies and Dragonflies Wallpaper has been brought back from the Cole and Son archive as part of the Whimsical Collection by Cole and Son. Inspired by the stories of childhood, the Whimsical Collection shows off richly nostalgic and enchanting designs and the Butterflies and Dragonflies design fits in perfectly. 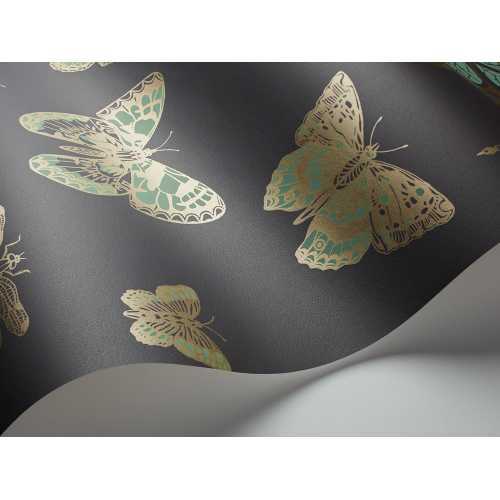 Its large-scale graphical design is further enhanced by luxurious metallic elements which give each of the butterflies and dragonflies even more life and character. 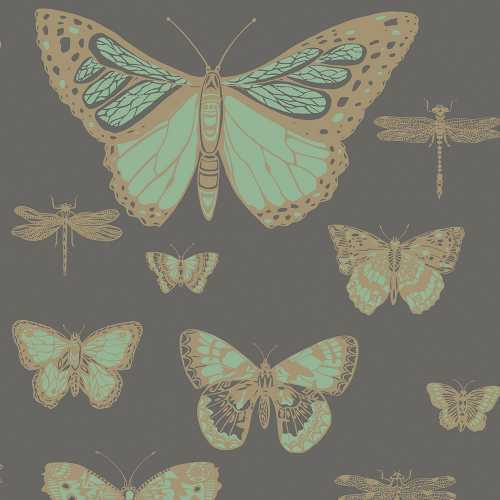 Unusual but charming, this Butterflies and Dragonflies Wallpaper by Cole and Son adds a new natural and sophisticated feel to any room it calls home. In this 130/15067 colourway, it is picked out in an unusual but alluring combination of sparkling emerald green and gold for the dragonflies and butterflies, with a deep charcoal grey background. Each roll of Butterflies and Dragonflies wallpaper measures 52cm in width and 10 metres in length. It has a half drop pattern match and a 72cm pattern repeat. For more information about the designers behind this piece and to explore the rest of their collection, please visit our dedicated Cole and Son brand page.